Asian equities are mostly lower this morning as investors and traders rushed into safe havens amid the extreme CHF volatility. Gold and Silver were the main beneficiaries from it, while Oil already retraced most of it’s gains from yesterday. EUR/CHF is still pretty much untradeable. Liquidity remains poor and we could see random 100-200 pips moves any time, so staying out of any CHF positions seems like the best strategy until things stabilize. USD/CHF looks very attractive from a long-term perspective, but again, it is better to wait for liquidity too improve rather than rush into any position in such a market environment. 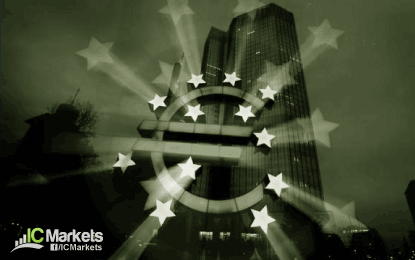 EUR/USD dropped to a low of 1.1565 after the SNB announcement. The Swiss central bankers definitely seem to believe that an European QE programme will be announced next week and the market is more happy than ever to sell Euros on any rally. GBP/USD didn’t suffer too much from yesterday’s events and is likely to consolidate further as the focus remains on the Euro and the Swiss Franc in the near-term. Meanwhile, the AUD and NZD gained from the recovery in commodities. While risk appetite remains low, the Aussie and Kiwi Dollar might seen as attractive currencies to avoid the turmoil in Europe. Looking ahead, we have European inflation data at 1000 GMT and US inflation figures at 1330 GMT as the main events of the day.